Don't throw your worn-out furniture sets out just yet. 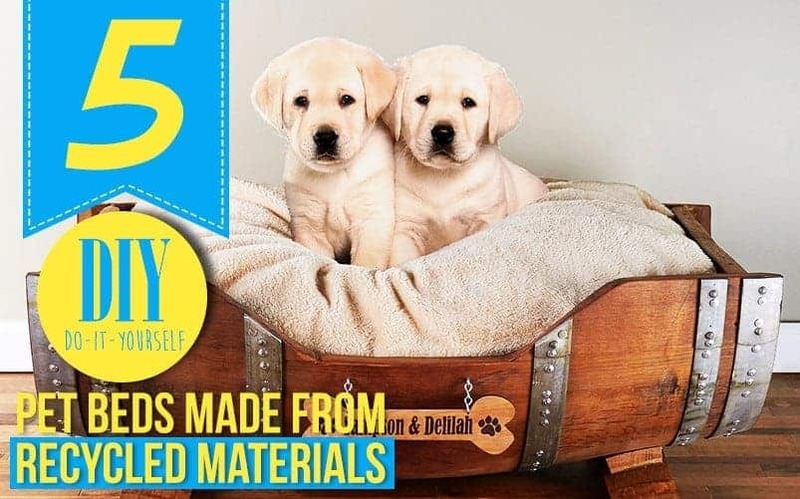 If you have pets around, you can make them comfortable and stylish pet beds using recycled materials. You are a pet lover par excellence. Nothing gives you the taste of happiness and comfort quite like your cuddly Shih Tzu or your equally-adorable Himalayan cat. When you are in the office, besides stressing over the herculean tasks your superior always bombard you with, there are moments when you think about your pets, how they are doing, and how long you will have to wait before you can give them a big hug and provide them with what they need and then some. As if that’s not enough, you always go out of your way to check if they have already eaten or are far from any impending danger. Part and parcel of keeping your pets feel comfortable and well taken care of is giving them their basic needs—food and shelter. Just like humans, pets also have needs to be met and demands to be satisfied. And as their pet owner, you have the sole responsibility to make meeting these a breeze. Not to worry, consider taking care of your pets no chore. Also, you don’t need to stress over having to turn your piggy bank upside down and shake all its contents out, down to the last penny. Recycling old metal furniture sets, wooden storages, and suitcases will certainly pass off as a practical solution to one of your pet duties—providing shelter to your furry feline buddy or cuddly tail-wagging canine. 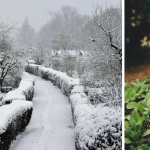 Not only is recycling old furniture sets good for the environment, it also provides your pets with an instant haven to stay in especially during the winter season. If you have old furniture sets left discarded in your basement or garage, then it’s time to take them out and turn them into instant pet beds and shelter. It’s not tedious at all. 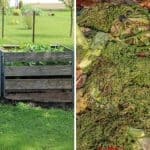 All you need to have is an ample amount of resourcefulness and you’re set to provide your pets more than what you think is best for them. 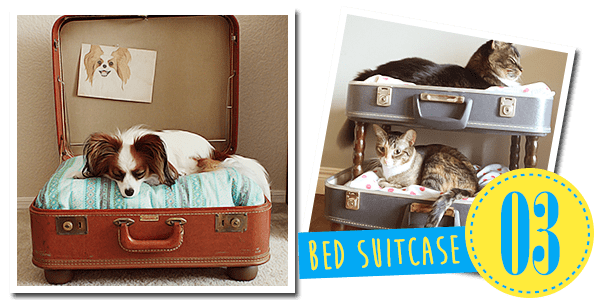 I have compiled for you a list of DIY pet beds made from old furniture sets, suitcases, and wooden garden storages, and whatnot. 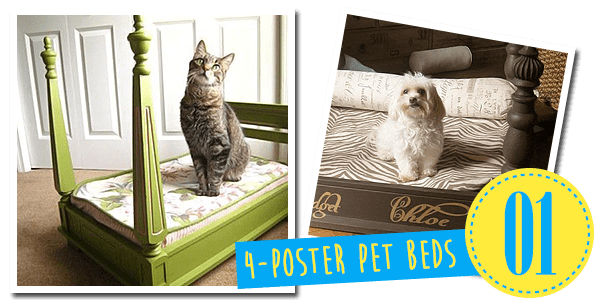 Style meets comfort with this Do-It-Yourself 4-poster pet bed made from an old table. Start off smooth. Sand the table to smoothen it out and remove any unsightly scratches. This will prepare your base material for the decorating you will do with it. Apply paint. Leave it overnight or until the paint dries up. Turn the table upside down. The wooden legs will now serve as the posts of the bed. For the headboard, you can use furniture scraps or wooden slabs. You may cut the makeshift headboard to fit the distance between the 2 posts. You may paint the headboard to make it more appealing. Use an old cushion and put it on top of the bed. Depending on the shape and size of the table, you may cut the cushion and stitch it back once you get the desired size. You may also add vintage fabric to add more comfort into the bed especially during the winter season. 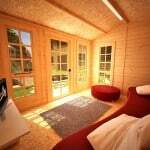 Using nails, you can also attach bed feet made from scrap wood to add height to bed. Put the finishing touches by attaching finials onto the posts using nails. 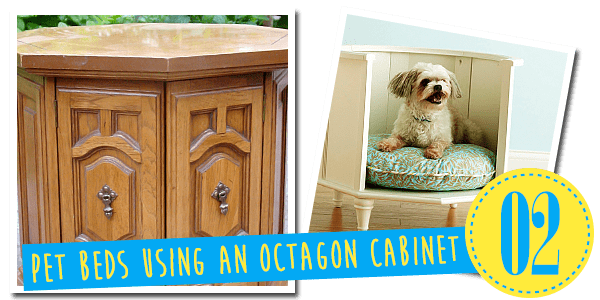 Put your grandmother’s old octagon cabinet to great use by repurposing it into a comfortable pet bed. Using sand paper, remove any unsightly scratches from the cabinet. Apply paint. Let the paint dry (approximately overnight). Cover the inside of the cabinet with fabric. For the cushion, you may use an old pillow wrapped with the same fabric you lined the inside part with. Fit the cushion into the cabinet. If it doesn’t fit, you may cut it and stitch it back after getting the desired size. You may add a blanket to provide your pet with additional comfort especially during cold nights. Begin by removing the top part of the suitcase. Loosen the hinges that hold the two flaps together using drill or screwdriver. You may store away the removed part and use it as an additional pet bed. For the legs, you may use scraps salvaged from old chairs or tables. 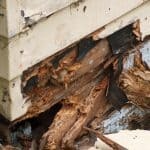 You may remove any unsightly scratches by sanding the legs and applying paint. Remove any pointed double-sided studs from the scrap furniture legs. These may poke through the cushions and pose harm to your pets. Using a pencil, mark the position of the legs onto the bottom part of the case. Locate the centre point of the legs and mark it onto the case. Ensure that the markers and the actual legs match before you attach the latter onto the suitcase. Drill a hole into the marks and secure the legs using lag bolts. Add the cushion and fabric. 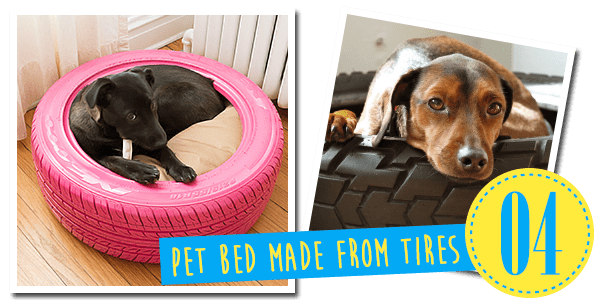 Just when you thought that your old unused tires no longer have any use, then comes this very ingenious pet bed, made from, well, scrap tires. Begin by cleaning up the tire using a tire brush or a stiff bristle brush. You may also clean it using soap and water. Once it has dried up, turn it to its side and apply paint. Wait for the paint to dry up before you can add the felt pads to protect the floor from the tires and the paint of the tires from being scratched. Place the soft cushion into the hollow part of the tire and add in an extra blanket. Sand the crate to remove any scratches. Apply paint. Set it out to dry. Once it has dried up, line the inside of the wooden crate with fabric. Add the cushion and throw in an extra blanket for added comfort. Taking care of your pets and providing them with genuine love can never get too tiring. 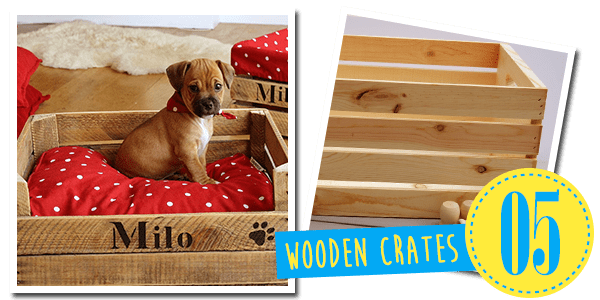 With these easy-to-do recycled pet beds, making sure that your pets are well taken care of is a joy you will surely find very fulfilling!